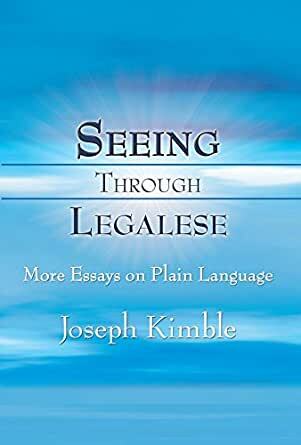 Seeing Through Legalese: More Essays on Plain Language - Kindle edition by Joseph Kimble. Professional & Technical Kindle eBooks @ Amazon.com. Joseph Kimble is Professor Emeritus at Western Michigan University Cooley Law School.